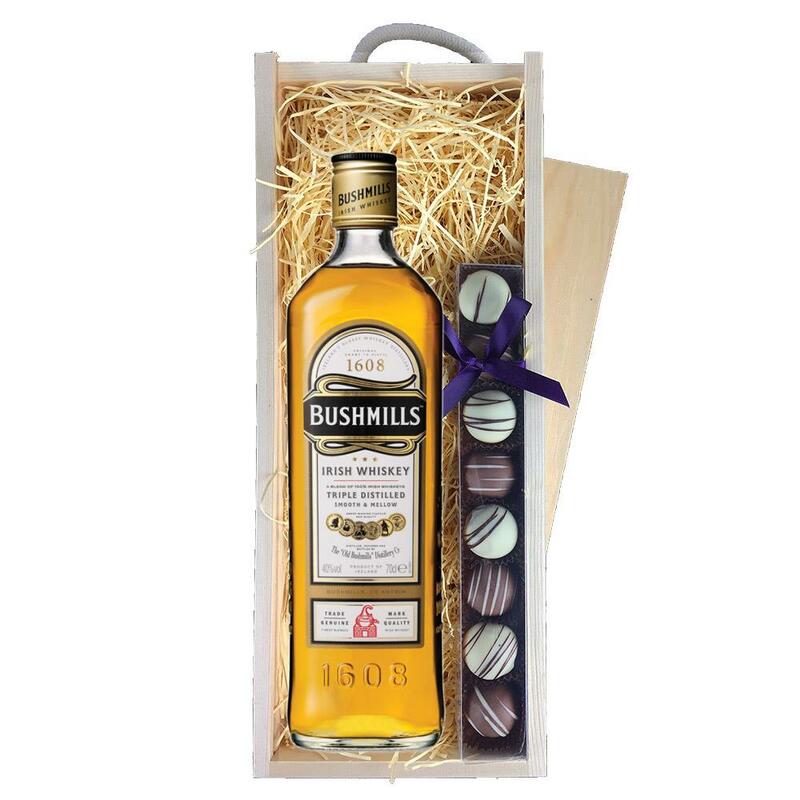 A single bottle of Bushmills Original Irish Whisky and a single strip of fine Hand Made Truffles (110g) Presented in a wooden gift box with sliding lid and lined with wood wool with a Gift Card for your personal message. Bushmills Original Irish Whisky Bushmills Irish whiskey is the original and best known whisky from the Old Bushmills Distillery the oldest licensed whisky distillery in the world. Its is a blend of single malt and single grain Whisky. Bushmills Original Blended Irish Whisky - On the nose it is fruity with hints of vanilla which compliment the gentle warming honey sensation on the palate followed by a crisp fresh finish.